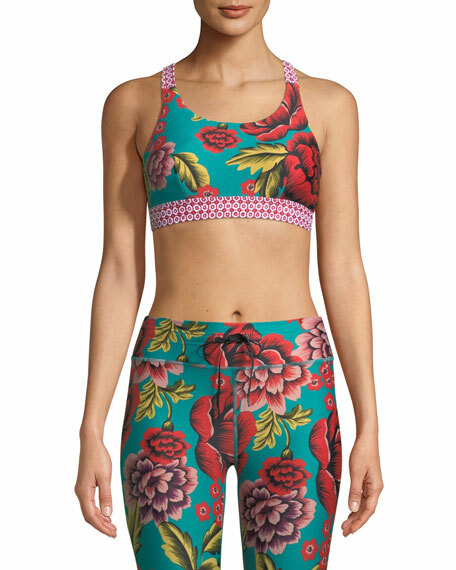 The Upside "Frida" performance sports bra with floral-print. Super soft, quick drying fabric with 4-way stretch. 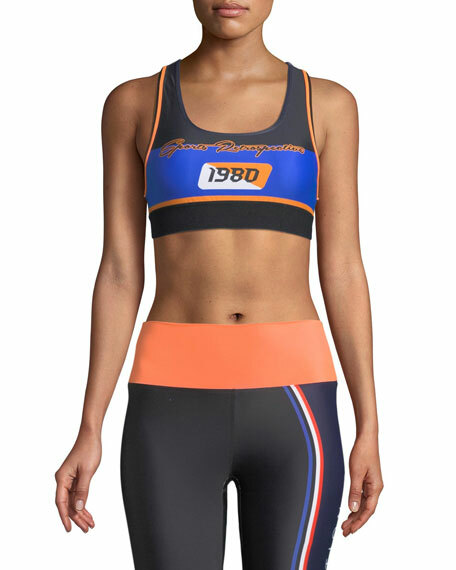 PE Nation "Dodgeball" crop top in high-performance fabric. 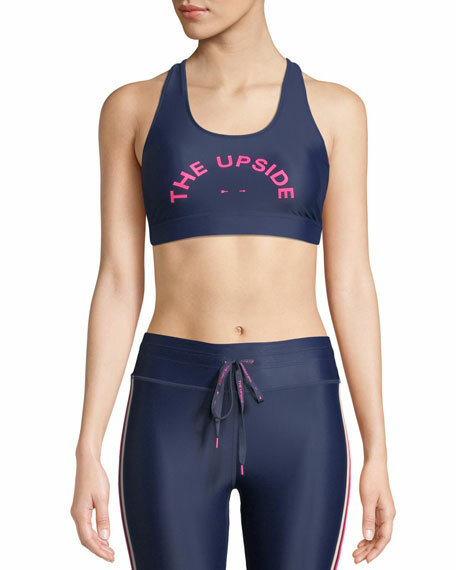 Provides moderate support for low-medium impact activities such as cycling, Pilates, or barre. Scoop neckline; racerback. Elastic band under bust. Pullover style. Polyester/spandex. Imported.